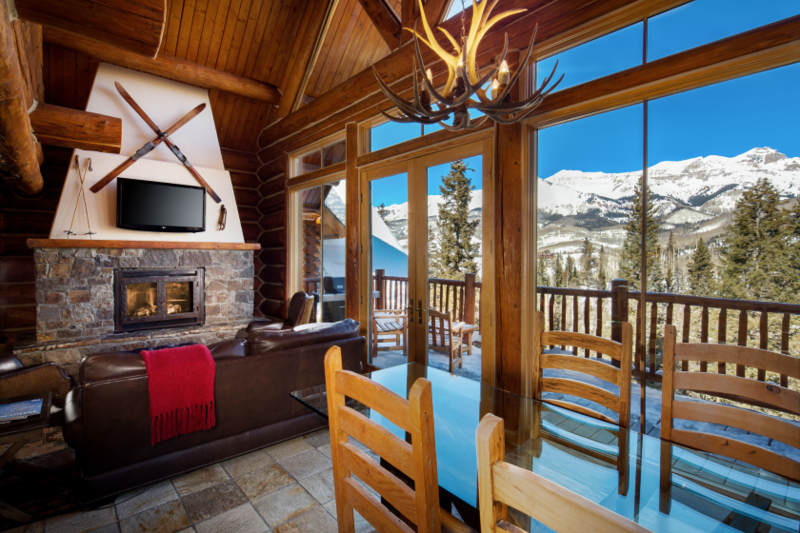 A blend of rustic elegance and Western charm, the Mountain Lodge at Telluride is your window to the splendor of the San Juan Mountains. 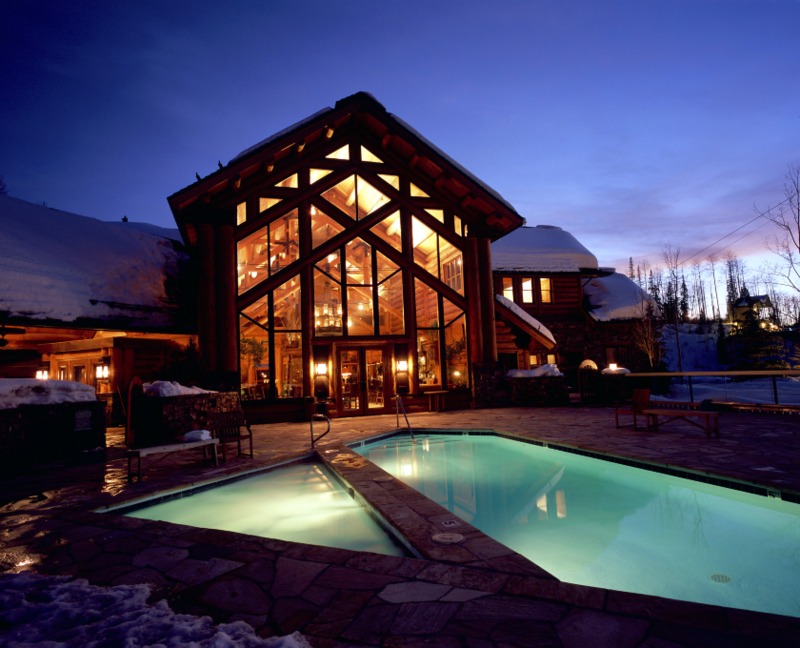 Perched at 9500 feet, our ski-in/ski-out condo resort offers suites, condos, and private luxury cabins that provide a comfortable retreat from the ordinary. 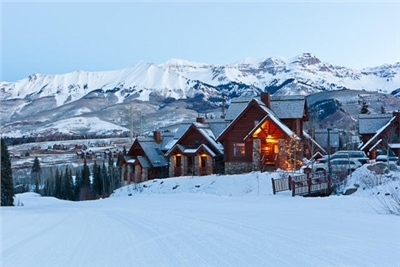 The Mountain Lodge at Telluride offers all the amenities and services of a first class hotel with the ambiance of a stately log cabin resort: the type of true western experience you would expect in this classic old West mining town. 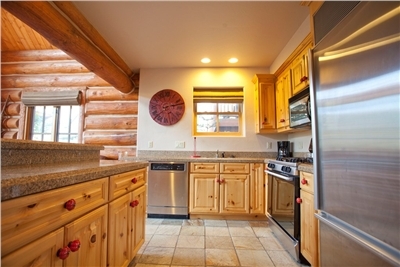 Guest suites, condos, and cabins features include gourmet kitchens with granite counter tops, private patio or balcony, gas fireplaces, flat panel TVs in all rooms, and luxurious robes. King bed in master, queen bed in 2nd bedroom, 3rd bedroom is an upstairs bedroom that is not fully closed off to the living area with a queen bed. 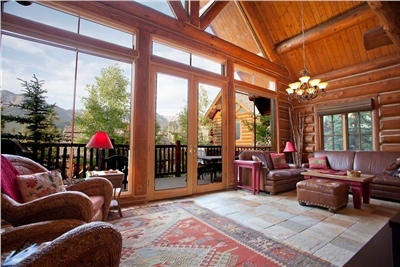 The Mountain Lodge at Telluride also features luxurious cabins, ranging from three to six bedrooms. 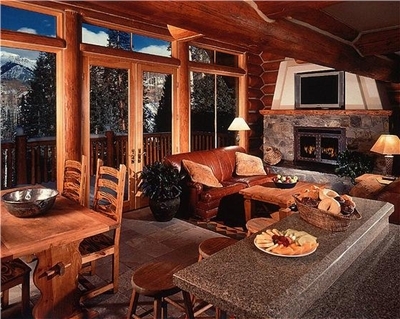 Constructed of hand-peeled alpine logs and native quarry rock, these spacious cabins also feature massive windows that invite natural light and reveal sweeping alpine views. 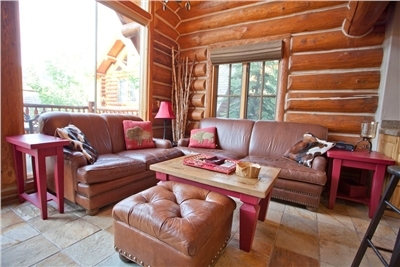 Perfect for groups, cabins sleep from 8 to 14 people. 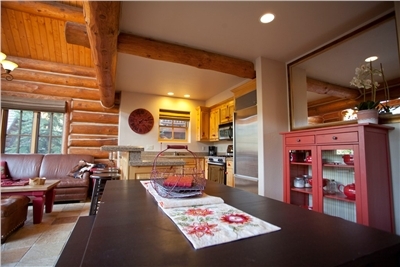 Lodge Rooms also known as "Tiny Rooms" are 185 square feet and accommodate no more than two guests. These rooms are specifically available for the budget-conscious traveler who is needing a simple place to sleep and shower, as these rooms do not have unit features of a suite or full condominium. With only a queen bed and full bathroom, these units do not have a sitting area, desk, fridge, or in-unit balcony, and are half the size of an average hotel room. 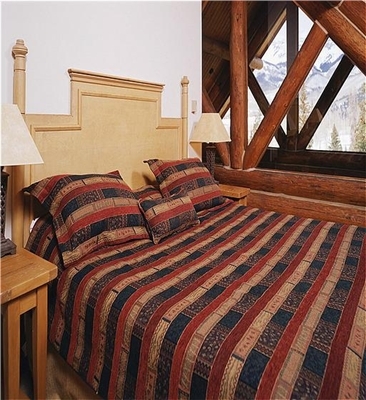 These rooms are the "lock off" second bedroom to a larger condo (unit does have its own private entrance) We recommend these rooms to late night arrivals and travelers who are making a quick stop in Telluride. If you are in town for a longer stay, we recommend looking at our suite or condo options.